Can be worn cross-body, on shoulder or around the waist! A Baglett is the perfect combination of fashion and function, making style effortless. 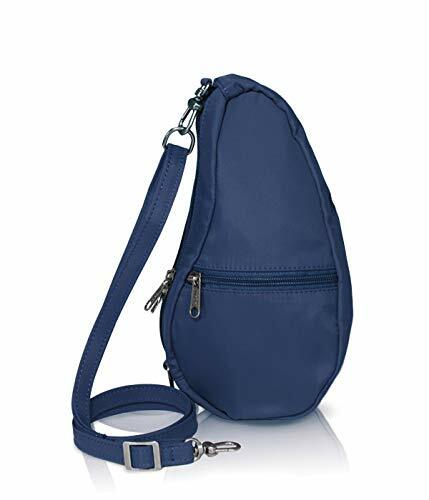 Try wearing cross-body, over either shoulder or adjust strap and wear around the waist like a fanny pack. ERGONOMIC: The compact version of our ergonomic shaped Healthy Back Bag is a great cross-body design for lightweight and hands-free carry! Our unique shape keeps weight evenly distributed across your back...so no pulling, no crooked necks or uneven shoulders. Having the double zippers meet in the middle make accessing your belongings a breeze. Simply swing the bag around to the front of your body while wearing it across the back, when finished, close zippers and then swing it back around! If you have any questions about this product by AmeriBag, contact us by completing and submitting the form below. If you are looking for a specif part number, please include it with your message.